Involving families in the education of our students is crucial to their success. Beyond just involving families, schools need to strive for family engagement and the creation of partnerships between school, home, and community. These partnerships, or connections between “stakeholders”, are important for promoting student well-being and success. When there is a greater focus on fostering more meaningful and personal connections, the school, community, and families can work together to provide the support, structure and make decisions for the benefit of student achievement. To promote family engagement, we must be intentional in learning about the families in our schools. It is important to make an initial connection, invite families in to engage in conversations and start to develop an awareness of each family’s needs, preferences and prior experiences in terms of involvement with the educational community. We should also explore any perceived or real barriers to family engagement. Recognizing some of the biggest barriers to family engagement will help schools to develop the most effective strategies to help families feel more connected to and supported by the school. A survey of over 18,000 parents indicated some of the biggest barriers to family engagement were: time, lack of information, availability of childcare, and inconsistent treatment of students. Using this data, schools can develop specific strategies aimed at reducing and eliminating these barriers. Understanding the diverse needs of the families and students in our school system is crucial, as we always want to create a welcoming and supportive environment, one which should also be reflective of the educational setting for our students. A strong and collaborative home to school partnership has been shown to positively impact student performance as well as empower parents. Communication between school and home has traditionally involved sending information in letter form, an email or by making a phone call. 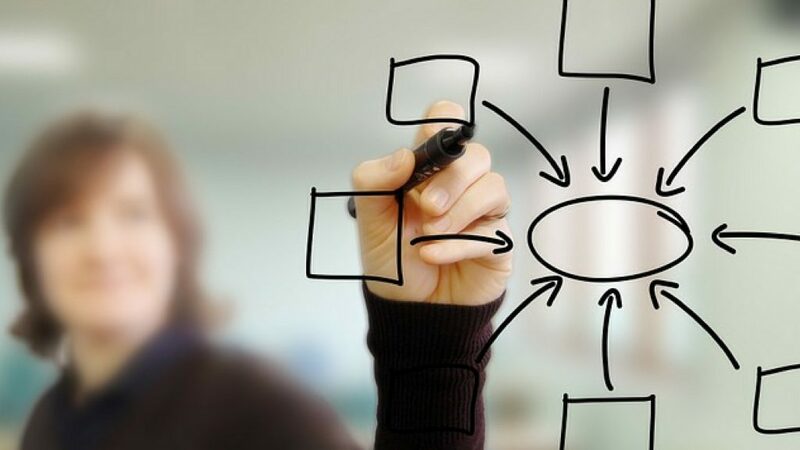 While these methods are still useful, they are not the best choices in terms of timeliness, especially when it comes to time-sensitive matters. Being able to connect and share school news and update families on student progress, in a timely manner, is vital to classrooms and fostering this sense of “community”. The sense of “community” comes from focusing on the building of family relationships, which are critical for student success in the classroom. In a survey done by SpeakUp in 2015 (cited in Learning Transformed), 55% of the half million K-12 parents surveyed stated that they wanted a weekly text message with updates. The same survey given five years prior yielded a result of only 5% of parents interested in this form of communication. With the digital age and many options for communicating, it is not that surprising to see such an increase. However, before starting to use a certain messaging tool, teachers should first consider what might be the best way to connect with parents and how to provide access to the classroom resources which will support student growth. Sharing an initial survey can help educators can determine how to best establish a classroom presence and open channels of communication. There are many ways to connect with parents. With technology, tasks such as sending class updates, assignment reminders, creating a calendar, sharing photos and distributing information are much easier. Knowing that families have mobile devices, does not guarantee that WI-FI access is available, and this is something that can be determined through the use of a survey. In a recent Trends in Community Engagement report, written in partnership with Project Tomorrow, 30,000 parents expressed expectations for frequency and forms of communication. Among the key findings of this report were that parents want timely and impactful communication. While parents want to be kept informed, they do not want to be overwhelmed with a flood of information. The CDC created strategies to help schools build frameworks to promote family engagement. The focus is to “Connect, Engage, Sustain” families’ in the educational community. Schools can refer to the many resources with tips for promoting engagement. To get started, here are five different ways to “connect, engage and sustain” family involvement. 1) Communication Tools: By using social media tools such as Twitter or Instagram, school leaders, and classrooms can transmit messages quickly and with a far reach. Tools such as Remind, or BloomzApp enable teachers and parents to communicate and also share information quickly. Both options offer translation capabilities which promote digital equity and accessibility. ParentSquare, is a multi-purpose platform with capabilities to facilitate communication, collaboration and increase family engagement in schools. ParentSquare is for use in grades PreK-12, geared toward streamlining parent notifications, increasing participation and family engagement in the school community and more. It can be used by students, teachers, staff members, administrators, and parents, and it creates a virtual space where so many vital communications and interactions can be completed. By using these tools, teachers and parents communicate instantly, privately, and as often as needed throughout the year. 2) Video Tools: Sharing news about student work, or creating a lesson for students to view outside of class, can be done with tools such as Educreations, Flipgrid, or Screencastify. Teachers can record videos of weekly announcements or special events, or even teach a lesson and share the links with parents, which will create a more supportive connection between home and school. Videos can also be a great way to have students share their learning, even creating a digital portfolio, or have families record video introductions to learn about one another. 3) Blogging/Class Webpage: Maintaining a classroom space in the form of a blog or a class website, can be done easily using tools like Kidblog, Padlet, Edmodo or other web-based learning platforms. When families know they can refer to one centralized location to obtain class updates, ask questions, or read about class events, it provides a more structured framework for engaging families in the daily activities of the school and fosters a greater connection between school and home. It also aids in resolving the barriers of time and lack of information, as families can refer to these spaces when convenient. 4) School and Community: There are a lot of possibilities for amplifying student learning by connecting with and sharing news of school events within the community itself. Social media can be one way of connecting, or simply by seeking out the local library and businesses to bring in real-world experiences for learning and to inform the community of the educational events going on at school. Invite the community into events such as Back to School nights, Open Houses or STEAM showcases, or hold a learning night for families. Any of these offer a good opportunity to meet and engage families in conversations and planning to impact student learning. 5) Family Activities: Finding ways to involve parents in the learning process can be a challenge. A good opportunity to co-learn is to take part in something called “Family Playlists”. A Family Playlist, devised by PowerMyLearning, basically has the student becoming the “teacher”. In their role as “teacher”, students share their knowledge with the family, who then provides feedback to the classroom teacher, as to how the student conveyed the information and their confidence in doing so. Trying this method is a good way to further involve families in the educational experience, leading to a greater understanding of the type of learning occurring in school as well as provide beneficial insight into a child’s progress. It also promotes ongoing and supportive collaboration between home and school. There are many strategies that schools can use to keep families informed and involved. The key is to find a way to not only make an initial connection and build the “family to school” partnership but to engage families and continue to collaborate and grow together. These connections will lead to the creation of solid and supportive relationships between school and home, which will promote student achievement and enhance their sense of belonging. This post is sponsored by Screenleap. Opinions expressed are my own. At the end of January, I attended the Future of Educational Technology Conference (FETC) in Orlando. FETC has become one of my favorite conferences to attend and each year I return to my school with a lot of new ideas and tools that I’m excited to try in my classroom and share with colleagues and educator friends. This year was no exception. After reading about the 31 start-up companies that would be participating in the “Pitch Fest” competition happening in the expo hall, I decided that I wanted to start there. These companies—the “best-of-the-best startups”—would be pitching their products and services to a panel of judges. I find this to be one of the “musts” for me each year to learn about the new ideas and products available to educators. I enjoy getting to talk with the companies to understand their tools and how it benefits educators and students. Before arriving, I had received a flyer from Screenleap. I took a quick look, but decided to set it aside and instead make time to meet with Tuyen Truong, the CEO and Founder of Screenleap, at the conference. We had a great conversation and I was immediately impressed with what I learned about Screenleap from Tuyen and from the reactions of other attendees who had stopped by the booth to learn more about Screenleap. Not long after speaking with Tuyen, I presented my own poster session on designing “Creative, Personalized, and Productive Classrooms.” A common interest of the attendees was that they wanted to know options that would enable them to share lessons, to work with schedule changes that interrupted the normal class periods, and to provide access to learning opportunities for their students when their students needed them. Screenleap immediately popped into my mind and so I gave them a brief overview and pointed them in the direction of Screenleap’s booth in the EdTech Startup area. Common issues for teachers regarding education tools are knowing where to start and whether something will have a big learning curve. These are both important factors, but we should also consider the WHY behind adding the technology. Based on the interests of the educators that I spoke with, thinking through it and trying it out on my own, Screenleap definitely addresses these concerns by making it easy for teachers to set up and start using with students and by saving valuable time for teachers who use it. Screenleap for Education allows teachers to share their screen with students and record it for later viewing. 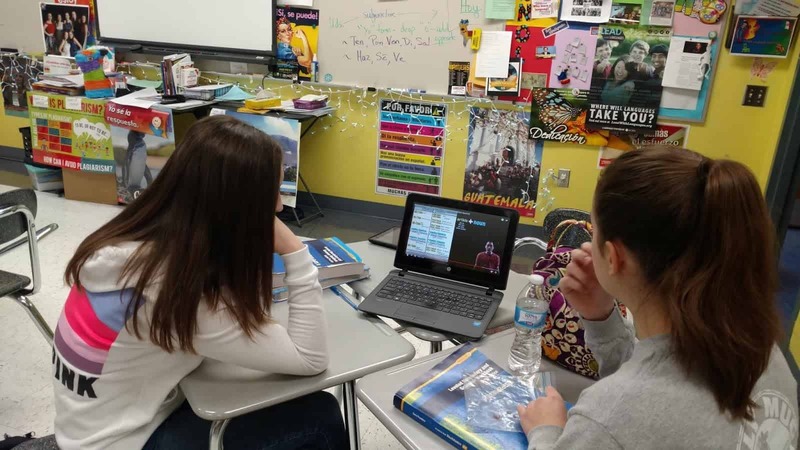 Whether the students are in the classroom or absent from class on a given day, they can watch the screen share live from wherever they are or access the lesson afterward when it is convenient for them. You can learn more about Screenleap for Education here. If you would like to try it out, you can start a free trial here! Why Use Screenleap for Education? When thinking about adding some new technology into the classroom, we really need to focus on the why behind choosing a specific tool or method. What difference will adding this tool make and how can it enhance the learning process and go beyond the traditional methods that are being used? What sets it apart from other tools you are currently using? Teachers can share from any device (including Chromebooks, iPads, Android, PCs, and Macs). Students don’t need to install any software to view their teacher’s screen, which makes it easily accessible to all students and saves time on IT administration. Everything is automatically recorded on the cloud for later playback. Teachers don’t need to manually upload the recording after the screen share. It saves teachers a lot of time because now they do not need to reteach lessons to students who miss a class since the recorded lessons are available for students to watch on their schedule. In addition, when it comes to re-teaching, you don’t always present the information the same way, so having a solid lesson that can quickly be shared with students to view and learn from is a real benefit for you. Depending on the content area you teach, or even if you have a different role than a classroom teacher, creating these recordings is easy and of great benefit. Having recordings available that you can share with colleagues, offer as extra instruction for students needing review, or even as a way to get feedback from colleagues about how you delivered a lesson, are just a few of the great ways to use the recording feature of Screenleap for Education. There are a lot of other possibilities for teachers, students, and administrators when the recording feature is used as part of a teacher’s daily instruction. After creating your account, there is an initial setup step where you can create your classes and add students to them. Once your classes are set up, it is easy to start sharing your screen with your students: all you need to do is click on the button for the class you want to share when your class starts. If it’s your first time sharing your screen, you will be walked through a one-time app installation before your screen share begins. Once your screen share has started, your students can watch your screen share by signing into their accounts and clicking on the “View live class” button for your class. While you are sharing your screen, it is automatically recorded in the cloud. When you stop your screen share and have recording enabled, your recording will be processed and made available to you from the “Recordings” page. If you have automatic sharing configured, the recording will also be made available for your students to review. If you want to remove something from your class recording, you can do so and then upload the updated version. You can share the same recording with multiple classes. You can track student engagement in real-time by clicking on “engagement” or after the recording has been processed. You will see a snapshot of the engagement graph at the bottom of every recording. Screenleap for Education offers a lot of benefits for teachers, students, and administrators: students can easily follow along in the classroom or from home, teachers do not have to reteach lessons that students miss, students can review lessons before tests, and administrators have resources available that can help to improve test scores for their schools through better learning. In addition, being able to stay connected and keep up with class—even when not in the classroom—and having information available to share with other teachers and administrators really makes Screenleap stand out when it comes to tools that benefit student learning. Let me know what you think of Screenleap for Education. Again, you can start a free trial here! The start of each new school year is such an exciting time for educators and students. After the summer break, educators head back into their classrooms and schools, hopefully feeling recharged, excited for the new school year, and ready with a list of new teaching ideas. Planning for the first day and first week back to school are so important, we want to set up our classrooms but also need to focus on the environment and culture we are creating. Of course, there are classroom expectations and class details that we need to share with our students, but we need to do something first. In starting to plan instruction and methods, we first should focus on learning about our students and showing that we are invested in their success. By starting here, we begin to develop our classroom culture and set up a welcoming environment for learning. At the start of the school year, and every day thereafter, we should be intentional about being present. We need to spend time greeting all students and welcoming them back to school. Beyond the students on our rosters, It is important to acknowledge all students as we see them in the halls and throughout the building. The power behind creating a positive and supportive climate in the building and in each classroom starts with teachers. When we are visible and show students that we are excited about school, we will start making connections that will help in fostering a positive classroom culture. There are many ways to learn about our students. There are icebreakers and other games that can be used as a way to learn about one another. As educators, this is our opportunity to take time to encourage students to share their thoughts and interests with peers, and also what and how they hope to learn in your class. There are many tools available to set up methods of communication and collaboration and to help students develop these critical skills for their future. For learning, we have to determine how to make ourselves available to students when they have questions or need additional support or resources. The questions do not stop when the school day ends, or over the weekend break. Without a way to ask questions during these times, students can become frustrated and the potential for learning diminishes. In our increasingly digital world, we have access to so many resources, but we also need to know how to find the right tools. First, I recommend that educators find a tool that enables students to connect, to ask questions, and to access classroom resources. Among the digital options available today, it still can be challenging to select the right one. A few examples are setting up a classroom website, a messaging app or using an LMS. A classroom website is great for having a centralized location for students to access resources, post questions, review content and more. Websites and using LMS platforms can easily be set up using Edmodo, Schoology, Google Classroom, Weebly a Google Site, or even Padlet. Communication is also easier with a messaging tool that enables the sending of reminders, links to resources, or that integrates with other digital tools for learning. A few options are Bloomz (for parent-teacher communication) and Remind. There are several other options available, depending on your needs and the level you teach. I have used Voxer with several of my classes, especially for talking about Project Based Learning and sharing ideas and reflections. One thing to keep in mind is to find out about the kind of technology and internet access available to the students. Even the slightest interactions can provide so much information about a student. It happens through those quick conversations as students enter the room, or by including fun activities in the lesson, and creating a supportive, welcoming environment where students feel valued. Engaging in some of these practices will help to build and foster positive relationships. The beginning of the year is the perfect time to start creating connections with one other. Some quick ways to get started are by having students create a collaborative Google Slides Presentation, or use another digital tool, like Buncee or even Padlet perhaps, for students to create one slide or add some information. Encourage each student to contribute by adding in fun facts, share how they spent the summer, or the weekend, to help each member of the class to learn about one another. I did this with my Spanish III and IV students and it was fun to learn more about each student and their summer experiences and we had some fun in the process. A personal goal at the start of each school year is to learn about my students and help everyone start to feel comfortable in our classroom. 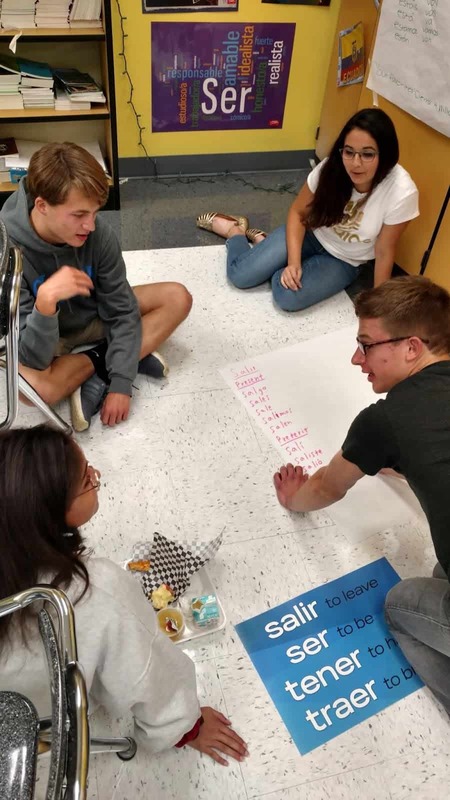 We used some icebreaker games, a great game of Bingo, shared stories, and it definitely helps students to learn about each other and for me to learn about them. Our classroom culture continues to develop each and with it brings new learning opportunities. Another great way that I have found to learn about each student is through the use of project-based learning. When students have the choice to determine what it is that they want to study and can drive their own learning, we can connect more with each student and understand who they are and what their passions are for learning. The students can learn about their peers as well as become more globally aware of what it is like to be a student in different parts of the world and to just really explore whatever it is that they want. For us as educators, it creates a way to extend our own learning and we can continue to improve and learn and grow with and from our students, starting from the beginning of the year. So I tried to do things a bit differently, think creatively, and take some risks. I wanted to keep us all moving, to finish strong at the end of the school year and begin summer vacation with a sense of accomplishment, to celebrate all that we had learned throughout the year and also what we had gained from these new experiences. Educational Technology provides so many resources that enable students to learn anywhere and at any time, and at a pace that is comfortable for each student. We can instruct from inside the traditional classroom, ​”​the brick-and-mortar​” ​as it is called, or from anywhere around the world. Using digital tools provides more differentiation and personalized learning, and provides opportunities for the students to move from consumers to creators. When students have choices in how to show what they have learned, they are more likely to be engaged and excited for learning. They will feel valued​,​ and the lesson and learning will be more meaningful because it has been made perso​n​al to them. What did I change? I started by having my students create some interactive lessons using educational technology tools like Formative, Nearpod, and EDPuzzle, or even games with Kahoot! and Quizizz. It proved to be a very beneficial learning experience for all of us. By doing this, we had extra resources available that could be shared with students who might need some extra practice. I thought it went so well that I decided to take it a step further and start a “teacher for a day” activity during which the students create a lesson based on a grammar topic or vocabulary. I stepped back and had the students lead our classroom. It was a really good way to learn a lot more about the students, to better understand what their needs were in terms of the content material, and for the students to learn about each other. Giving students the control and the opportunity to become the creators and leaders in the class has tremendous benefits and it has been something that we have enjoyed. At first when students created interactive lessons, I would launch the lesson and control it on the SmartBoard, but find ways to involve the student who created it during the presentation. I eventually decided to move aside, and took a seat in the back of the room, having the student lead the lesson, give explanations, answer questions, call upon students for answers, and provide feedback. Having the opportunity to sit back and experience this was tremendous. The students enjoyed the activity, supported each other, collaborated, and provided some positive feedback to each of their classmates. I was very impressed with how well they taught, led, and learned during each of the “teacher for a day” lessons. The use of these digital tools means ​that ​the “time and place for learning” is no​ longer​ confined to the ​traditional time and setting of the physical ​classroom​. It opens up the learning environment ​to​ anywhere​, at any time and at a pace that is comfortable for the students as well. Learning and having timely, purposeful and authentic feedback is critical ​for growth to happen. When we shift our focus to creating opportunities, giving students the control, leaving the decision making to students to choose ​how t​o show what they have learned, or ​letting them​ design their own assessments, they are more empowered in their learning. Have a conversation with your students and ask for their honest feedback. What did they like? What did they not like? Which lesson or format seemed to help the most? What did it feel like to be in control, decide how to deliver the lesson, and experience being the teacher? You can have this as a face to face conversation, students can respond on paper, or use one of the many digital tools available for communication. No matter which way you choose, look to your students for the valuable feedback to decide your next steps. Be sure to ask yourself these same questions and continue to reflect on steps taken and progress made! EdTech’s Problems With Blended Learning! Toward the end of the past school year, I noticed some changes in student behavior. There was a decrease in student engagement, especially while I responded to the question of a student seated close to me, students around the room became distracted or stopped listening. Trying to get the group to refocus sometimes presented a challenge and resulted in a loss of valuable instruction time. A second concern was how students had been treating one another. I overheard conversations in the hallways, witnessed unkind interactions in the classroom, or heard directly from students who sought help in dealing with different situations. There were two issues to resolve: eliminate the valuable instruction time that was being lost and help students to develop more positive, collaborative peer relationships. How could I connect students more to the content and to one another, so they could work together to foster a more positive classroom. After some brainstorming, I decided to first focus on ways to promote collaboration and to step out of my role of “leader” in the classroom by stepping aside. My first realization was that I needed to shift roles in my classroom. I needed to get out of the way, and students needed to do more than simply sit for the entire class. To get started, look at your own classroom. Where are you and the students spending the class period? Are you the only one speaking and moving? If so, think about how you can open up space and provide a more collaborative setting for students. Think about how you can involve the students in more “active learning” that will lead to better student engagement. 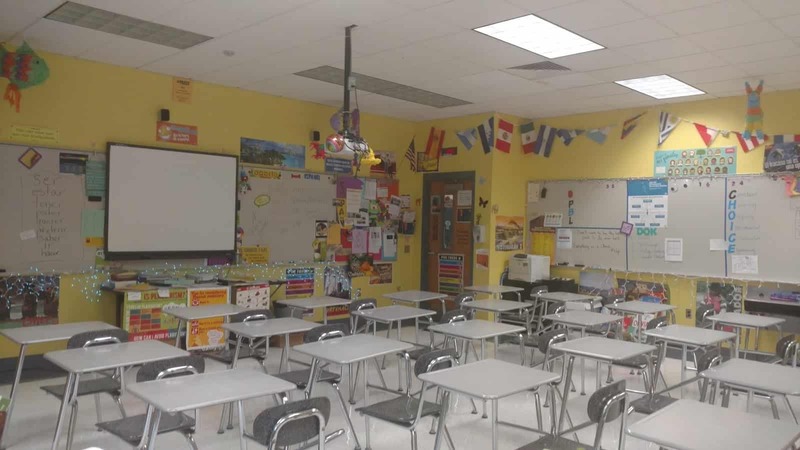 One morning, I looked at the physical space of my classroom and decided to break apart the rows of desks. By doing this, it created more flexible spaces for students to interact, to create and lead, and do more than just sit and listen. Students need opportunities to work with their peers through lessons and engage in activities where they can master the content together, and that will provide opportunities to develop their interpersonal skills, self-awareness and social awareness of others. Making these changes can feel uncomfortable because it means going against what likely has been the traditional classroom structure. However, many teachers have moved toward flexible learning spaces, creating a more student-centered and student-driven classroom. A classroom which moves away from simply lecturing, reviewing homework, passing out materials, assigning new homework, and repeating this same routine the very next day. While this process may promote the acquisition and application of knowledge, it does not effectively promote collaboration, invite student input, nor foster development of vital SEL (social-emotional learning) skills. CASEL (The Collaborative for Academic, Social, and Emotional Learning), formed in 1994, is an organization which actively works toward promoting the importance of developing SEL skills in education. SEL is focused on five competencies: self-awareness, self-management, social awareness, relationship skills and responsible decision making. The development of these skills can benefit the level of student engagement as well, leading to higher academic achievement and reduce discipline issues in the classroom. To promote the development of SEL, here are some ideas and additional resources to get started. Icebreakers: I started the school year with fun icebreakers, to get to know one another and to find out what students had in common. Why? It all starts with relationships, building a connection with peers and the teacher, and using this to connect with the content area. Returning after an extended holiday break, doing even one icebreaker can be a good way to welcome students back to the classroom, to ease into the daily routine and to start the year fresh by working on relationships. Perhaps have students share what they did over break, show a picture, talk about favorite foods for holidays even, and let students make connections on their own. Games and activities: Providing opportunities for students to interact through the use of games and activities in the classroom promotes the development of social-emotional learning skills. There are many online tools available to help you get started. For elementary and middle school, Centervention provides free online games, activities and printables for teaching students about SEL. Gaming helps students to learn to problem solve, collaborate, think critically, and develop empathy through scenarios within the game itself, or as a result of being part of a team. It creates a sense of community and belonging, which foster the social-emotional skills students need. Even by using Minecraft, educators have seen a connection between the benefits of gaming for learning and the development of SEL skills. Learning Stations: Something that has really made a difference in my classroom has been using learning stations. I started the year with rows and decided one morning, that the rows had to go. I quickly set up clusters of desks or “stations” to accommodate three students each, with four extra desks grouped together in the center. At each station, students spend 10-14 minutes doing a hands-on activity like a worksheet, creating flashcards, watching a video, playing a game or simply coming up with their own ways to practice. Deciding upon the activities takes some planning, especially when trying this for the first time, but it is well worth it. Start by explaining the “stations”, involving students in the discussion and asking for feedback. When we explain our goals and share any fears we may have, we are modeling “self-awareness” and “self-management”. 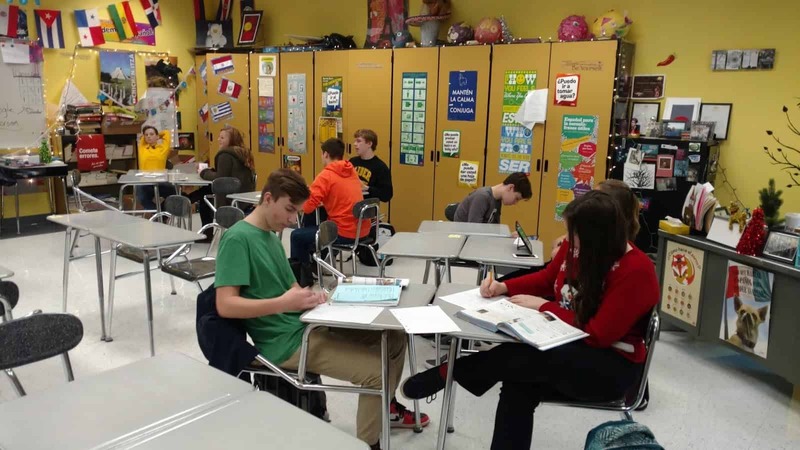 By using stations, we also have more time to interact with each student and group, work on relationships and foster a deeper understanding of the content as well as connecting with one another and creating a more positive classroom culture. Groups: The first few class periods there were complaints. Students wanted to work with their friends and others wanted to work alone. It can be awkward if you are the only one who doesn’t find somebody to work with, but it can also be a challenge to work with a group when you may end up being the only one doing the work. Assigning random groups can help alleviate some of these uncomfortable feelings, even though in life and for the future, students may face the same challenges and uncomfortable moments, not having a choice in collaborative work. However, for the time being, the importance is to help students to develop interpersonal skills that will enable them to be successful in the future, to develop the social and emotional learning skills, especially in terms of relationships, decision-making and developing a self- awareness. Timing: It can be a challenge at first to know how much time to provide for each station. I started by spending ten minutes reviewing material, asking questions, or doing an activity with the whole class, before starting stations. I tried giving 15 minutes for each, so students would work through two each day. Some students finished early and wanted to move on. To work through this, I would use the time to speak with each group or individual students, and then make adjustments during the next station rotation. There is always room to improve, but the important thing is remembering to be flexible and open to changes that will positively impact student learning and relationships. Student engagement: Students have been more engaged in learning, and have come in to tell me how much they look forward to coming to class. Because of the different activities within the stations, students participate more because they are active and moving, and know that each station offers a new way to learn. Student leaders: Students are offering to help one another, to explain concepts, and to cheer each other on. They keep each other on task and by working in these small groups, there are less distractions than working as a whole group. Each small group can ask questions, receive individualized feedback because I can freely move around the classroom and clear up any misunderstandings. Teacher-student relationships: Students are getting timely, authentic and personal feedback. By using learning stations, more time is student-focused and those individual conversations can happen as needed, to help students to be successful and be more confident. Student learning: In terms of academic achievement, the participation and results of recent assessments are the highest they have been. Students enjoy coming to class because they know they’re going to be leading and making decisions about their learning, in a way that is comfortable, flexible and fun.The learning experience is more authentic and meaningful for students. Research has shown the positive benefits of incorporating SEL into the curriculum. Student behaviors: As for the class distractions and the negative interactions that existed before, both have decreased tremendously. It is not something that is going to change overnight but what matters is that we make constant progress. We are learning and becoming better together. Getting ready for the start of a new school year – new students, new curriculum, and new tools – means teachers have a lot of preparation ahead of them. Whether new to Kidblog or a veteran classroom blogger, these tips will help you get the most out of your class blog this year.1) There is no better way to start the year than by way of introductions. Blogging can be a great way to get your students comfortable with you as their new teacher, as well as, their new classmates. In my classroom, I also use this time to cover expectations in the classroom. This is all done in a “Welcome back to school” blog post. Choose a fun theme for the class, add some links and include helpful information. Share information about you, including some fun facts, and encourage students to then respond to your post. You can begin to develop those vital relationships for your classroom. 2) Get parents connected. Make the decision to use blogs as a way to keep parents informed about what is going on in the classroom. Set a goal to write a blog post with a weekly update and share what is going on in the classroom, give highlights of upcoming events and activities the students will be participating in. Also, use the blog as a way to share student work with parents, which will really connect the home and the classroom, and involve all members of the learning community. 3) Involve students in planning for blog posts. Encourage students to come up with their own ideas or to work with peers to brainstorm some writing prompts to use throughout the year. Gather their ideas and then draw from their prompts. Involving students in the decision making process in the classroom helps to provide more authentic and meaningful learning experiences. It promotes student voice and choice in the classroom and helps students feel more valued and empowered. By actively engaging them in classroom decisions, students will feel more connected to the content and their peers. 4) Create a bridge between content areas by doing some cross-curricular blog posts. Find time to talk with and encourage other teachers who may not be using blogs, to work with you to create some cross-curricular opportunities. The blog can be a way for students to complete some writing assignments or projects for communicating their ideas and showing their learning. 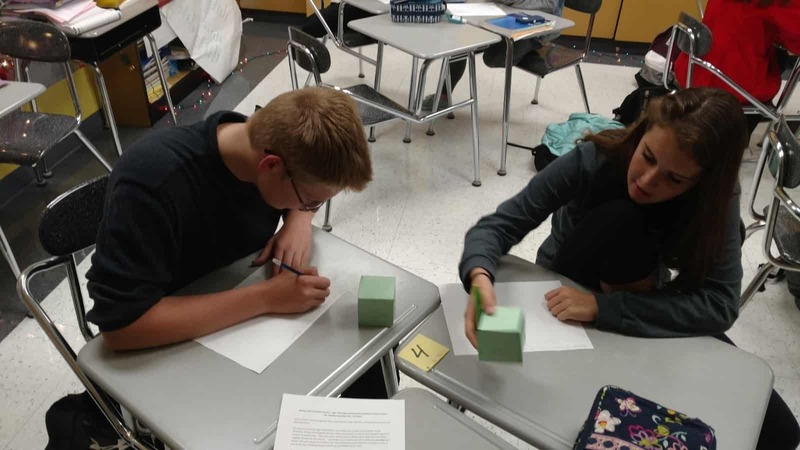 Students create their own personal space to share ideas and really have an opportunity to practice their skills for multiple content areas in a comfortable manner. 5) Try adding some other tech tools to app smash with Kidblog or use Kidblog as the means to share student work! Implementing other tools will help students develop their technology skills and digital literacy. For example, have students create a Buncee and write about what they’ve created, or, they may share it with a peer to create a story. These apps can be easily embed into Kidblog for their classmates to comment. 6) Have a routine for sharing student blog posts and set aside time in class for the students to work together to share their blogs, offer feedback and learn to reflect on their work. Making time for students to work with peers will build those positive classroom relationships and help students to become more confident in their learning. Their confidence will increase through the writing process and also by communicating and collaborating in the classroom. 7) Be sure to have resources available for students so they understand how to use the blog, how to write a post and to properly cite any images or other information they add to their posts. A great way to do this is by screen-casting a tutorial available to students, as well as, creating a “guide post” that gives students pointers on how to publish a post, the required format, and other information related to your expectations. By providing all the information in a place which is accessible, the process will be much easier for students throughout the year to have the support they need when they need it. I have been a huge fan of Edmodo the last four years and it has really brought about tremendous, positive changes in my classroom, for my students and opened up a lot of new opportunities for me as well Edmodocon, an online conference, takes place in August and is held at Edmodo headquarters in San Mateo, California. Each spring, Edmodo accepts proposals from educators to be selected as one of the featured speakers during this event. The last two years I had submitted a proposal to speak at EdmodoCon, not fully understanding the magnitude of it even though I had watched it each year, and definitely not expecting that I would be one of those selected to present. I took a chance again this past year and submitted a proposal and definitely put some extra time into what I wanted to say and decided to just go for it. Honestly, I did not think that I would be selected. ​Finding out I was one of the educators selected to speak at ​EdmodoCon was really an emotional moment where I felt a little bit overwhelmed, very surprised, tremendously honored, and definitely scared. There was also ongoing disbelief that I had been chosen. I had watched ​EdmodoCon the last two years and knew how it was set up​,​ where the people were speaking from​,​ and also that many thousands of people were watching from around the world while the event was ​streaming live. All of these images passed through my mind a​t​ a glimpse when I found out I was selected but the excitement ​was sometimes exchanged for nerves. I​ just could not believe that I was chosen and could not wait to attend. I have been using Edmodo ​since 2015 and it truly has made a huge impact in my classroom. I found it almost accidentally, looking to find a way to open up more access for my students and to help solve some problems in communication, and availability. Over the years, the way​s​ that we have used Edmodo has changed and many new features have been added, making it even better than it already was. Having the opportunity to see the people working behind the scenes at Edmodo and to talk with ​each person was phenomenal. How does one prepare for ​EdmodoCon? Unlike any other presentation you have prepared for! While I have given many presentations in the form of Professional Development sessions, speaking at conferences and online learning ​events, preparing for something like this was a much greater feat. My session would be a ​2​​0 to ​30 minute presentation, speaking ​live from​ Edmodo. I needed to craft a message that would inform the participants or “Edmodians”, who were​ ​already familiar with Edmodo and knew so much about it. My goal was to convey my message of why and how it has made such an impact ​in​ my classroom. Countless hours spent crafting the presentation​,​ re​-​working the images​,​ thinking through what I would say on August 1st, and lots of communication between myself and N​iccolina and ​Claire. The support I received was fantastic. The team was always readily available to give guidance and feedback, to do practice run​s​ ​or​ whatever was needed. They were there to support me and all of the speakers and definitely made the whole experience phenomenal, and always found ways to calm those nerves with reassurances and positive encouragement. I think I lucked out because I had the benefit of a little preparation when I was asked to speak about Edmodo during the Microsoft Hack the Classroom in San Antonio​ while at ISTE​ this summer. I prepared a​ ​5 minute “Ignite” talk on the integration of Microsoft Office with Edmodo and this experience definitely help​ed​ me to better prepare for EdmodoCon, but then again it was unlike any other experience I have had. It gave me some practice speaking in a studio setting with a live audience, microphone and cameras, but it didn’t quite prepare me for the full experience since it was only a five minute talk. But nevertheless, I am grateful for having had that opportunity to connect and to get a little bit of practice in before heading to the main event. Being able to step out of my comfort zone, and do something like this for the first time, was a challenge and I was very nervous about it, but having this experience definitely helped. Going ​to San Francisco, arriving at Edmodo Headquarters, and meeting the other educators was tremendous. I was very excited about the day, getting to spend time at Edmodo, practicing a little and just being in the same space with educators from around the world, and having time to sit down with them and share how we use Edmodo was awesome. Being there and having the support and generosity of the whole Edmodo team, becoming connected with these other educators, really added so much more to what I already love about Edmodo. The whole team of Edmodo is people focus​ed,​ they work ​​for the students, they are a family and they are there to be a constant source of support and encouragement to one another. The way that we were all welcomed by the team was unlike anything I have ever experienced. We were greeted at check-in with welcome bags full of Edmodo gear, picked up by members of the team and driven to Edmodo headquarters where we had time to tour the office and also to ask questions of all of the team members working hard to make Edmodo what it is. We had catered meals, access to anything we could possibly want to make our time there more comfortable and most of all, we experienced a true sense of belonging and being part of the Edmodo family. Being able to meet for the first time people who have done nothing but work to make Edmodo a better platform for students and for education and who truly value the input from educators and the connections made, was an honor. Edmodo is how I made changes to my classroom that enabled me to open up more access to the resources the students need and also access to a world full of learning opportunities. Being selected to speak there and to share my experience with so many educators around the world was very humbling. It is probably the most nervous I have ever been before a presentation and waiting for it to be my turn to speak was definitely a challenge for me to stay calm and focused. 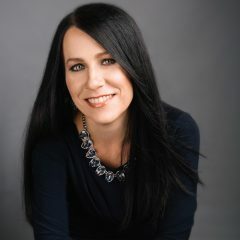 But hearing Jennifer’s presentation before mine helped and once I entered into the room and put the headset on, my nerves pushed aside and I was ready to go. Of course I was still nervous but I felt like I could get through it, I was ready to share our story. And I think the one thing that really helped to break the ice for me was when my slide deck would not load correctly and I just had to go on and start talking with fingers crossed that it would actually work. It’s really not much of a surprise that I would have some kind of a technical difficulty because I often joke that the technology cloud of darkness follows me at times. But the show must go on and if my slides did not work well then I was just going to have to talk my way through it as best as I could. Fortunately it only took a few minutes for everything to reload and so I was able to carry on through the presentation. How did it go? I think for the most part I am pleased with how it went and I caught myself getting a little emotional at the start because it really hit me that I was speaking there and I have been so thankful for what Edmodo has provided for me to make things available for my students in my classroom. But standing there and having that chance to speak and share our experience with my own personal learning revelations about my teaching methods and why I needed to change was bittersweet. Because I’m a reflective person and I did want to evaluate my speaking and be mindful of words or mannerisms that catch my attention, I watch the replay of the video. I first noticed the look on my face when told that my slides weren’t loading and then I should just start, it was a look of wait what? And as for my overall presentation, of course I did come up with a few things that I would change. But that’s how we learn and grow and move forward. We have to reflect, we will make mistakes, we will face challenges and while it is important to acknowledge these, the most important thing is that we share our message and that we also share our learning and reflections in the process. Edmodocon was amazing and it gave me a lot of new ideas for this school year and ways we can use Edmodo to knock down those classroom walls and to bring in opportunities for students to learn more about the world and to provide a safe space for them to connect with other students in the world. We can empower our connected learners.